Approved Contact announced the availability of Approved Contact in Microsoft AppSource. Approved Contact allows you to see available times on any online calendar from Microsoft Outlook with Approved Contact’s patent-pending Calendar Comparison technology. Approved Contact deployed its solution on Microsoft Azure and stores calendar data in Azure SQL Database so that calendar integrations with other technologies such as email, bots, text, and voice recognition systems are simple and more secure. With Approved Contact, you can see open times outside your company. Our newly available “Sign in with Microsoft” support allows you to use your Office 365 account for easy new user sign-in and calendar syncing. You can use your Office account to create your profile and grant access to your free/busy times. We keep your changes in sync automatically, so as you add/delete meetings, your online calendar is always kept up to date. “Sign in with Microsoft” grants access to your free/busy times securely because it does not require your password to be stored on a third-party site. For enterprise sites, an Office administrator can establish your employees’ profiles and connect their calendars automatically from Azure Active Directory. Alternatively, you can easily create your own profile from your Office 365 account by navigating to www.approvedcontact.com. Approved Contact enables you to connect your calendar intelligently to almost anything used in digital communication: websites, text, email, mobile, voice recognition, CRM, and telephone systems. Although the Approved Contact API is available only to customers and partners, it is free to use to further automate the scheduling process into your business processes. Every day millions of business users rely on their calendar to make them more productive. 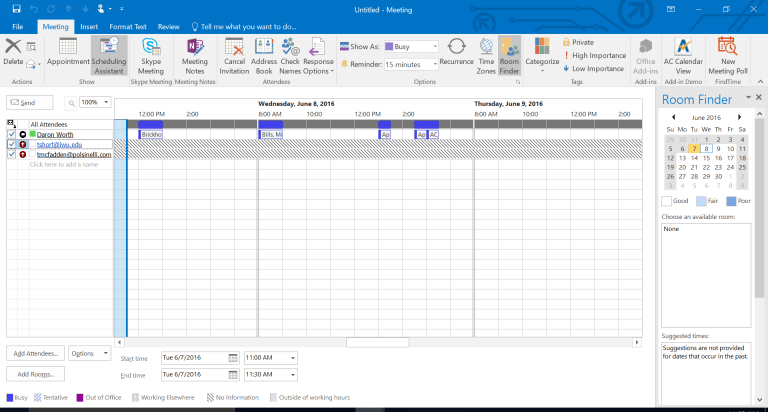 This new integration between Outlook and Approved Contact will reduce the untimely interruptions required to schedule your next meeting. For more information, visit Microsoft AppSource to start your trial and then enable our add-in from the Microsoft Store. Follow Approved Contact on Twitter at @approvedcontact. Approved Contact is an innovative company that is improving productivity for companies large and small. Approved Contact allows you to easily share calendars with anyone. Changes you make to your calendar update automatically to Approved Contact. Using Approved Contact enables you to connect your calendar to websites, text, email, mobile, voice recognition, and telephone systems. 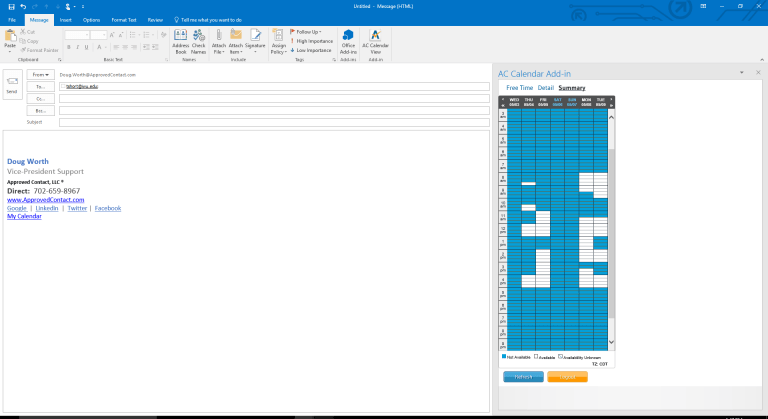 PreviousPrevious post:See Available Times on Any Digital Calendar from Microsoft Office Outlook with Approved Contact’s Multi-Company Scheduling and Collaboration ToolNextNext post:Do you play phone tag while you schedule meetings with contacts outside of your company? We have a better way….